Wye Oak Release New Track for Adult Swim Singles, "Evergreen"
In a tweet from the band, Jenn Wasner and Andy Stack mention how new the “sonic documentation of [their] seasonal depression” really is, claiming they were in the recording studio with it just weeks ago. 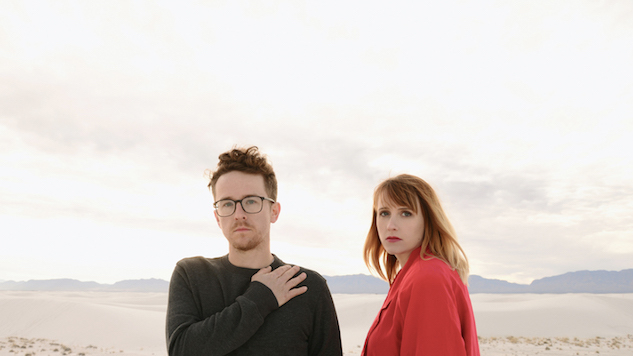 The standalone track follows last year’s release of Wye Oak’s acclaimed album The Louder I Call, The Faster It Runs. Just this week, Wasner also released a new single with her side project, Flock of Dimes, for a 7-inch in collaboration with Madeline Kenney. See the tweet from Wye Oak below to click through for “Evergreen,” and watch Wye Oak play the Paste office circa 2010 further down.